Aging doesn’t have to mean looking less gorgeous. As we age, our brows start looking thinner and less defined. But no worries, because with microblading, you get organic, permanent eyebrows that can keep up with you, so you’re youthful both on the inside and the outside. Our skin goes through lots of changes as our years on earth pile up. We’re no strangers to the knowledge that wrinkles, freckles, and age spots begin popping up as we grow older. But what else can we expect to happen as the years go by? Our skin becomes thinner, so blood vessels are more visible. Pores become bigger and are more visible. Our hairlines retreat, so we start looking like we have bigger foreheads. The tips of our noses begin drooping. The connective tissue supporting nasal cartilage weakens. Ears grow longer because the cartilage within also elongates. Fat in our foreheads, temples, cheeks, and around the eyes and mouth start to lose volume. The fat also clumps up and shifts downward, so features sink and sag. The lower half of the face gains fat. The chin and neck area begins to look baggy. Apart from structural changes, there are also other transformations that go on with our skin. Beneath the surface, collagen and elastic fibers begin to degrade. These are what allow skin to stretch, so older skin is less elastic than younger skin. Hyaluronic acid also decreases over time, which leaves the skin rougher and dryer, increasing the need for moisturizer. Aging skin retains less water, as well, so it becomes dryer and thinner. Chances of irritation and infection increase. Wounds heal slower, too. To add to that, our eyebrows go through their own ordeal. Here’s what happens to our arches when we age. Eyebrow color becomes significantly lighter, even turning gray in some cases. Our arches lose their once well-defined shapes, due to years of waxing, threading, and tweezing. Eyebrow hair grow a little longer and needs trimming. The older we get, the more grooming and maintenance our eyebrows need. However, it gets progressively harder to care about what we look like as the years go by. After all, we have more important priorities and more pressing problems than trimming our brows. That’s why eyebrow microblading is your best bet for retaining your brows’ youth. Imagine if you never had to touch up or draw on your brows every single time you left the house. You could wake up and shower without so much as looking in the mirror–and still look good. That’s the principle microblading was built upon. With our busy lives getting busier, it’s only natural to want to stop worrying about the little things. Essentially, eyebrow microblading is tattooing, except the ink doesn’t fade into an unflattering shade of blue or green. It’s also virtually painless. Organic microblading uses all-natural ink pigments that present no side effects on any and all users. Compared to traditional microblading, the organic kind also heals more quickly and lasts longer. Not convinced yet? Check out these reviews from our clients. My mother went in with skinny, non-existent eyebrows and left as a new woman with beautifully contoured and shaped microbladed eyebrows by the talented owner Lorine. Mind you, this procedure took less than an hour, and the results are flawless. Highly recommend! Mom’s going to visit her in a couple days for her permanent upper eye liner, can’t wait for that reveal! I lost my eyebrows after menopause. I had them done by 4 different people and was not 100% satisfied until I met [Lorine] at OPM. She took off my old ones and gave me new ones in less than an hour. The color and artistry were amazing. Her system is painless and her brush strokes look so real. She is by far the best out there. Relive your youth with OPM! Get organic, permanent eyebrows today. Book an appointment online or by calling us at 310-207-7797. In the Spotlight features the best brows on the internet—and gives advice on how to steal their look, too. This installment trains its sights on an up and coming fashion and beauty icon. Check out our take on Zendaya’s eyebrow game. Millennials and generations before them had celebrities like Angelina Jolie, Eva Longoria, Jennifer Aniston, and Beyoncé to look up to. But who do younger generations have as beauty inspirations these days? At the forefront of Young Hollywood is singer, actress, and model Zendaya. If there was ever a face to watch in the coming years, it’s hers. Born Zendaya Maree Stoermer Coleman, the actress is famous for her roles in The Greatest Showman (2017), Spider-Man: Homecoming (2017), and Disney Channel TV series Shake It Up (2010-2013) and K.C. Undercover (2015-2018). Growing up, Zendaya appeared in several plays while attending the Oakland School for the Arts. She also danced hip-hop for a group called Future Shock Oakland and hula for the Academy of Hawaiian Arts. She found her big break in the show Shake It Up opposite Bella Thorne. From there, she starred in her own series, K.C. Undercover and released several singles and a self-titled album. Zendaya debuted on the big screen in Marvel’s Spider-Man: Homecoming, which starred Tom Holland, Robert Downey, Jr., Michael Keaton, and Marisa Tomei. The same year, she starred alongside Hugh Jackman and Zac Efron in The Greatest Showman. Both movies were box office successes. She will reprise her role as Michelle “MJ” Jones in the Spider-Man sequel Spider-Man: Far From Home (2019). Thought I'd just stop by NYFW, hope you didn't mind. I wish I could edit the damn speaker off the wall. Work with what you have. “Honestly, it’s more about working with the natural shape and enhancing what a client’s already got,” Kelley said. There’s no way to completely change a whole eyebrow, it’s true. Eyebrow grooming is about taking a person’s current brow shape and making it work. Don’t go too thin. Kelley is a fan of full, fluffy brows. “The fullness keeps you looking youthful, whereas thin brows can age you,” she said. We agree! Here’s how to recover from thin brows caused by overplucking. Conceal and highlight. Kelley likes using concealer and highlighter underneath the brows to open up the eyes. Using these two also hides any imperfections you don’t want anyone else to see. Wax the hairs away. Waxing is Kelley’s preferred hair removal strategy. “It gets all of the baby hairs. It’s crazy, every little hair makes a difference. Just tweaking a couple of hairs is going to completely change your shape, ” she explained. Of course, if you want longer-lasting brows, take a peek at eyebrow microblading. When you don’t have time to copy Zendaya’s eyebrows on a daily basis, then you can let the pros do it for you. One appointment per year and you’re set for your daily selfie. So, check it out: everything you need to know about eyebrow microblading. The Duchess of Sussex is seemingly living a fairy tale come true. And who doesn’t want to be the princess—well, duchess—of a fairy tale? So, while we’re still working on meeting Prince Charming, we can focus on being royal in one particularly easy way: eyebrows. Specifically, Meghan Markle’s eyebrows. Meghan Markle always had beautiful brows. And, now that she’s royalty, it’s no wonder people are lining up to steal her look. Wondering how you can get Duchess-level arches? The good news is you don’t need to fly to Europe. Here’s how. 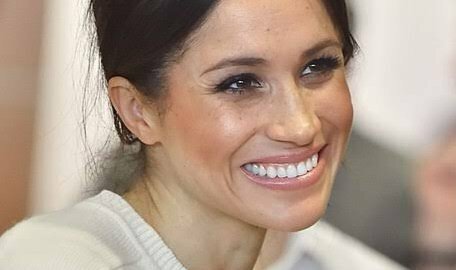 Meghan Markle’s eyebrows are the masterpiece of Sherrille Riley, the founder of Nails & Brows Mayfair. “The brows are less exaggerated in shape, which brings balance and harmony to the facial features, while instantly lifting the face to create an effortless look,” she added. The Duchess has been frequenting Nails & Brows since 2016 when she relocated to London. That’s three years now that Meghan has been sporting Nails & Brows’ Audrey Hepburn-inspired arches. Of course, unsurprisingly, the look is now also associated with Meghan herself. 3. Keep them polished. When you’re heading out or just wanting to feel duchess-y, define your brows with a pencil that matches your brow color. Afterward, brush on some clear gel to keep that shape in perfect shape. Finally, put a little highlighter directly under your brows and blend with a highlight brush. You’ll get an instant eye-lift and arches fit for royalty. Uh oh, I don’t have enough brows! As mentioned, the look requires a full brow to start with, as the eyebrow shape goes straight across your brow bone. If waiting for your arches to grow back isn’t an option, or if you’re a victim of the 90s’ overplucking craze, don’t worry. Here’s another celebrity (not-so-) secret: microblading. Stars like Lorde, Mandy Moore, and Adele have gone under the (microblading) needle. Why? Because not only does microblading look completely natural, but it also lasts up to two years with proper maintenance. Best of all, our organic microblading is as natural as it gets. We only use food- and mineral-based ink pigments that are 100% safe and compatible with all skin types. 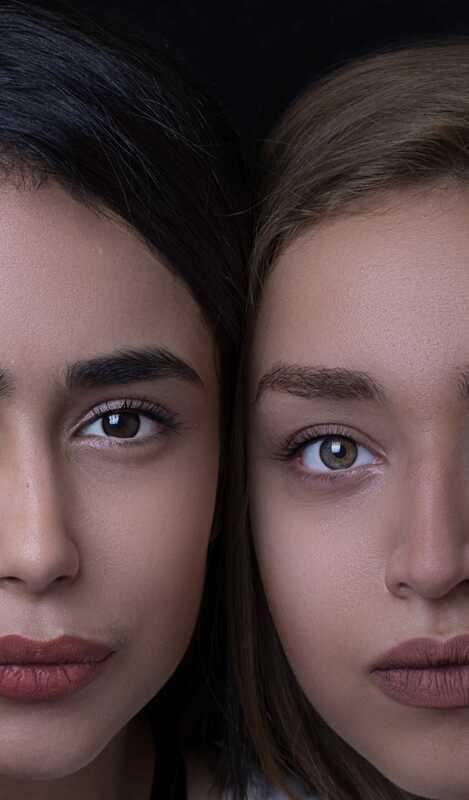 Expert microblading artists can shape your eyebrow to fit your desired look, and they’ll recommend the best color that matches your skin tone. Sound like a dream come true? Microblading may not come straight from a fairy tale, but it sure is fit for a princess. Get the royalty treatment you deserve and the full brows to start your Meghan-inspired look today! Check out our offers on organic microblading right here. Questions? Concerns? Drop us a line or call us at 310-207-7797. In the Spotlight features the best brows on the internet—and gives advice on how to steal their look, too. This article features makeup mogul and beauty icon Kylie Jenner. 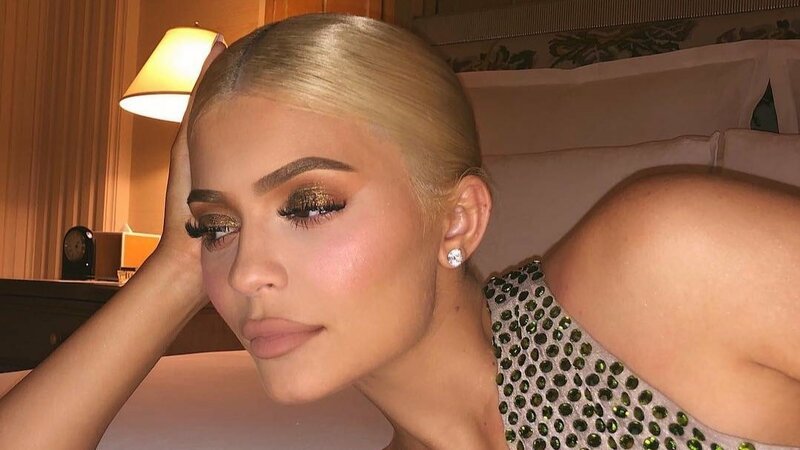 Keep reading to see Kylie Jenner’s best eyebrow looks this 2018. Kylie Jenner has many labels to her name: reality TV star, model, ambassador, social media influencer, beauty and fashion icon, and makeup mogul. But perhaps her most iconic label is the one sprawled across the millions of products scattered around the world: Kylie Cosmetics. At 21 years old, Kylie has a net worth of $930 million. This brings her close to toppling Mark Zuckerberg’s reign as the youngest self-made billionaire in history. With over 100 million followers, Kylie is one of the top 10 most followed people on Instagram. In November 2018, Page Six credited Kylie as being influential in the fashion industry. Kylie starred in her own TV series, Life with Kylie, which premiered in August 2017. Her mobile app reached number one on iTunes when she launched it in 2016. In 2014 and 2015, Time named Kylie and sister Kendall as part of their most influential teens in the world. That’s a tall list for a 21-year-old, but Kylie is taking it all in stride. In fact, she’s also added “mom” to her list of accomplishments. Baby Stormi Webster entered the world on February 1, 2018, born to Kylie and her rapper husband Travis Scott. Kylie Jenner’s personal branding is not ‘all work and no play.’ Despite her busy schedule, the star makes it a point to interact with her fans. Whether it’s replying to them on Twitter or posting makeup tutorials on Snapchat, Kylie is a pro. She (and the rest of the KarJenners) has perfected using social media to appear grounded and down-to-earth, making her all the more endearing to her fans. Kylie Cosmetics might be particularly famous for its lip kits, but her eyebrow kits are best-sellers, too. And no wonder, the star’s arches are as gorgeous as the rest of her. Here are Kylie Jenner’s best eyebrow looks this 2018. Kylie has posted several makeup tutorials in the past and has revealed her eyebrow secret in 2016. On Twitter, she replied to a fan who questioned whether or not one of her makeup-free selfies was truly makeup-free. Brow tints are a terrific way of getting darker and fuller-looking brows for up to three weeks. Of course, if you want better brows for more than a month, there’s also microblading. Dozens of stars have gotten their brows microbladed, as microblading looks incredibly natural and lasts up to two years. Taking it a step further, Organic Permanent Makeup (OPM) offers organic microblading, which uses organic pigments pioneered by OPM itself. Organic microblading is safer, compatible with more skin types, and longer-lasting. It also has zero side effects and zero chances of discoloration! Want to learn more about microblading so you can get arches a la Kylie Jenner? Click here. In the Spotlight features the best brows on the internet—and gives advice on how to steal their look, too. This installment pays tribute to a queen in her own right, Emilia Clarke of Game of Thrones fame. 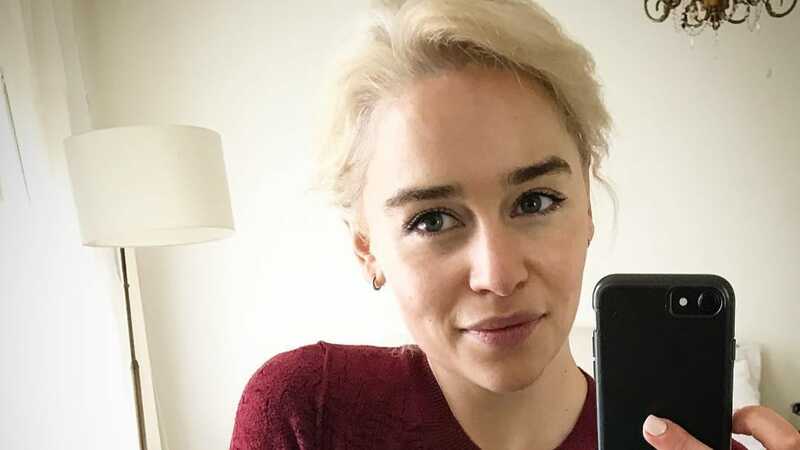 Check out the very best of Emilia Clarke’s eyebrow Instagram looks. All hail the Mother of Dragons! When it comes to Emilia Clarke, it’s not just her acting skills that slay. Her bubbly personality—and winsome brows—made her an instant fan favorite among the Game of Thrones fandom. Emilia was born to a theater sound engineer father and so was enticed early in her life by acting. In fact, her earliest work was in stage plays before she began doing commercials and starring in soap operas. It was in 2010 that Emilia found her big break when she was cast as Daenerys Targaryen, the dragon queen and contender for the Iron Throne on Game of Thrones. She has since received Emmy nominations for Outstanding Supporting Actress in a Drama Series in the years 2013, 2015, and 2016. She also became one of the highest paid TV actors in 2017, reportedly earning £2 million per episode. The eighth and last season of Game of Thrones is set to premiere in 2019. Emilia has also made appearances on the big screen with her films Terminator Genisys (2015), Me Before You (2016), and Solo: A Star Wars Story (2018). Apart from her acting skills, Emilia is known for her exquisite—and highly expressive—arches. In fact, her eyebrows have become kind of a running joke. Luckily, Emilia is always game to put them on display. When her brows aren’t putting on an acrobat show, they’re often found on Emilia’s Instagram photos. And what do they do? Why, they slay, of course. What else would the Mother of Dragons’ eyebrows be up to? Not sure you believe us? Check out these photos posted on Instagram by the dragon queen herself. Fans have been scrambling to recreate Emilia’s brows since Game of Thrones premiered in 2013. And now, five years later, the demand hasn’t let up. Here’s how to get arches a la Emilia. “To achieve full brows like Daenerys, start by finding your best brow shape,” Shavata Singh, owner of London’s most popular brow studios, told Telegraph. “Daenerys’ brow shape is quite straight with a small arch towards the end,” Singh said. Singh doesn’t recommend that you DIY your eyebrow shape and thickness, however. Singh mentions eyebrow tint as a way to get Emilia’s gorgeous brow color. Tint only lasts a couple of weeks, however. If you’re looking for a more permanent solution, try eyebrow microblading. Eyebrow microblading is the process of tattooing tiny lines on your brow bone to recreate your natural eyebrow hairs. Organic Permanent Makeup offers organic microblading, which uses tattoo pigments made from all-organic products. Organic microblading is proven safer, longer-lasting, and better looking than traditional microblading. Want to learn more about microblading and get arches like Emilia Clarke’s? Click here to read about microblading. pite the thousands of beauty products available all over the world, makeup artists and enthusiasts keep coming back to one particular ‘beauty hack’. What hack is this, you might ask? It’s called ‘soap brows’. Soap brows aren’t a fad. In fact, two certified brow experts use this trick. Anastasia Soare of Anastasia Beverly Hills (yes, the one who does Kim Kardashian’s brows) is one. The other is Nicola Haste of the Pixiwoo sisters, the incredibly popular YouTube makeup artist duo. Nicola herself gushed about soap brows to Get the Gloss during an interview after whipping out her tin can of brow soap. She said that the soap brow technique made her naturally fine-haired brows look thicker. Soap brows are exactly what they sound like they: putting soap on your eyebrows. If that sounds a little primitive, don’t worry—this trick works as good as (if not better than) other eyebrow techniques. A clear soap. White soap will make your brows look like they have dandruff. A clean spoolie, otherwise known as a mascara brush. Sam Chapman recommends having a spoolie specifically for soaping up your brows. Run your spoolie over the wet soap until the soap foams. Brush upward until you achieve the shape you want. From there, your brows will hold their shape. Just be careful not to overload your brows with soap—otherwise, you’ll look like you just washed your face if you get caught in the rain. Of course, like Sam, you can also fill in your brows so they don’t look sparse. She uses a brow gel and an angled brush in her video to re-create her brow hair’s fine lines, giving her a very natural look. She herself says that she’s not a fan of the completely filled-out brows and that she likes seeing the texture of her own brows. Soap brows won’t take away more than two minutes from your morning routine; filling the brows, however, might consume a bit more time. Organic Permanent Makeup offers eyebrow microblading—a one-time solution to a permanent problem. Simply come in for a one-hour session and walk out of our clinic with eyebrows to die for! Microblading is a beauty enhancement technique that uses ink to recreate your brow’s hair (instead of brow gel, like Sam used). This means your beautifully filled-in brows will stay that way no matter what. Caught in the rain? No problem; your brows still look great. Accidentally wiped your forehead during a hot summer? Don’t worry; your brows are immune to your hands. Boyfriend playfully messing up your makeup? Joke’s on him; your eyebrows are still there! Read up about eyebrow microblading today. Better yet—book an appointment! Who hasn’t had an eyebrow nightmare? Everyone’s overplucked their right eyebrow before. Some of us have even run into our exes while we’re two weeks overdue for an eyebrow grooming appointment! Still, no matter the horrors we’ve endured, one thing’s for sure: none of them compare to this one woman’s eyebrow tint gone wrong. Leanne Martin, 31, from Greater Manchester, UK, went to a local beauty salon, thinking only of getting her nails done. But, while she was there, she decided to get her brows waxed, as well. Afterwards, thinking nothing of it, Leanne asked for an eyebrow tint. And that was when the trouble began. 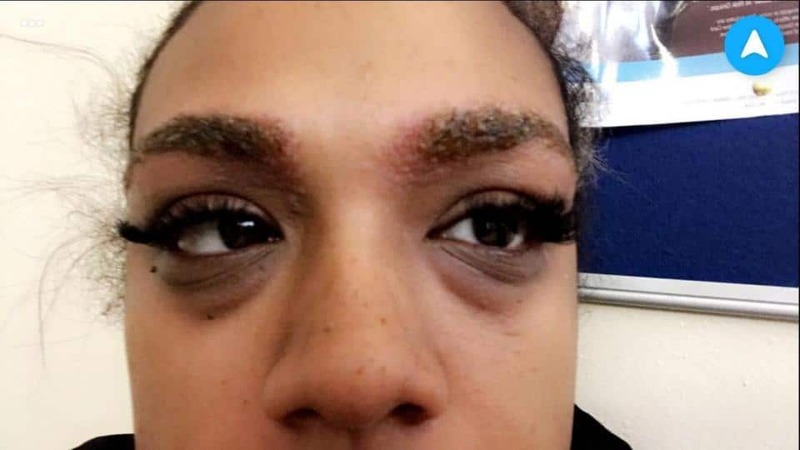 Leanne said that her beautician didn’t offer an allergy test, only asked if she had ever gotten her eyebrows tinted before. “I’ve since been told that you should never wax and tint at the same time,” she admitted. 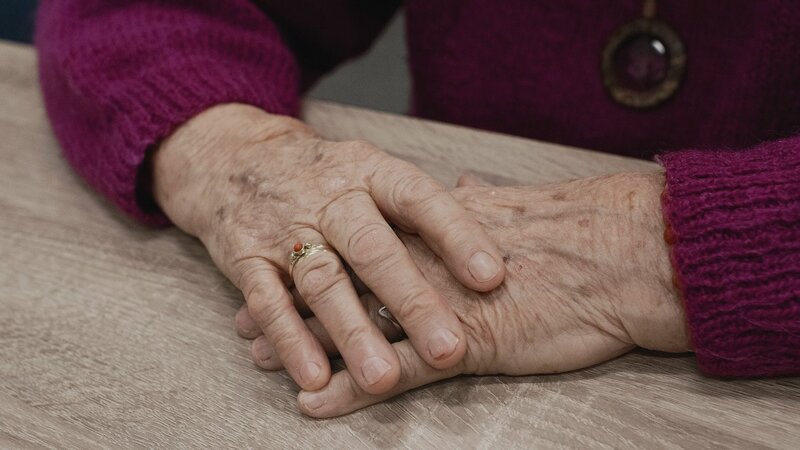 Leanne was given hydrocortisone cream at her local hospital, which will supposedly help calm the inflamed skin down, but the damage has been done. The mom-of-one is a caterer, which means she’s unable to work for as long as she has open wounds. “I work in a kitchen so I can’t go to work for hygiene reasons,” Leanne explained. But the insult after the injury is that Leanne’s beautician was apparently indifferent to Leanne’s condition. Leanne said that she has since learned that waxing and tinting shouldn’t be done on the same day. “It must have been the tint. I don’t think you’re supposed to wax and then tint, because waxing opens the pores,” she said. But, the thing is, the beautician should have known. And she should have told Leanne. The burden of safety procedure shouldn’t be on the client, but just to be safe, make sure to do your research before going in for any procedures. As with all things, it’s better to be safe than sorry. Try to read reviews about the salon or clinic, as well. And find a place that’s open about their safety protocols and procedures—that’s usually a green flag. If you’re going for eyebrow tints, try to ask what kind of tint they’ll be using. Ask about the ingredients, so you know in advance if you might be allergic to the tint. Organic Permanent Makeup offers organic pigments. In fact, we’re the first and only clinic to do so. These pigments are all-natural dyes and are food-based and mineral-based. No harmful chemicals, no complications. And, best of all, our experts will make sure you won’t have any skin reactions to our pigments. Interested? Book an appointment and get a commitment-free consultation today. Concealer is the answer so many of our problems. Late night out? Concealer. Pimple? Concealer. Eyebags that aren’t designer? Concealer. This makeup bag staple can erase the effects of long nights of binge watching, partying, and studying. But, aside from covering up the not so good parts of our face, concealer can amplify our makeup looks. It can be used to make our brows look more precise, our lipstick look more defined, and our cheekbones more pronounced. Read on to find out some of the concealer tricks you can practice to amp up your look. You typically use primer before you put on foundation because this helps make your makeup stay on for the rest of the day, so why don’t you use something for the lips? Concealer acts as a fantastic lip base, and it neutralizes your lip’s natural color, giving you a smooth, flawless base. While applying concealer to the rest of your face, stop by the lips and spread it evenly across. Your lipstick will stay on for a seriously long time! One of the best concealer tricks we’ve learned is to use it after putting on lipstick. While applying lipstick may seem easy, many of us do struggle to color “within the lines”. Thankfully, concealer can clean up any mistake that we make. Using a thin, flat brush, clean up the corners of your mouth with concealer. Use a tiny makeup sponge to blend it out afterwards. Who says you have to buy expensive contour palettes just to get Kim Kardashian level contouring or supermodel-level cheekbones? You can simply use concealer that’s two shades darker than your natural skin color! Apply it onto the hollows of your cheekbones, blend it with a brush or beauty blender, and then add highlight! This concealer trick will save you lots of money, honey! Eyeshadow will crack and crease within hours if you don’t use primer. Use concealer to prep your eyelids first so that your beautiful smoky eye will stay gorgeous for the entire night. It’s a lot cheaper than ordering all kinds of eyelid primers from Sephora! We mean makeup mistakes, of course. If you accidentally smudge your eyeliner, which many of us tend to do, you can simply use concealer to clean it up. No need to start all over again! 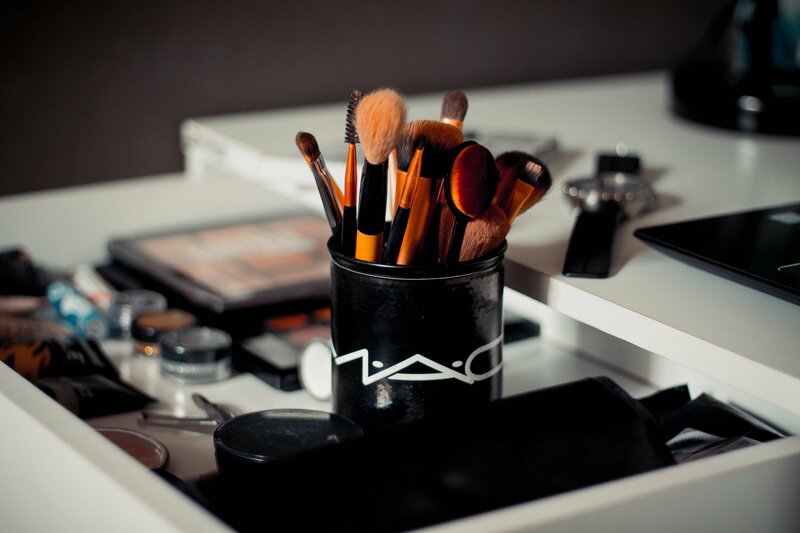 Just use a clean flat brush, dip it into your concealer, and clean up anything that looks messy. Apply concealer ON your eyebrows. Yes, we’re dead serious. By using concealer on your brows, your brow powder will have something to hold on to. This means it’s going to stay on for a pretty long time. Using a thin, flat edged brush, dip it into your concealer and apply the product onto the scarce parts of the brow. Then, using eyebrow powder, fill in your brow as you normally would. This is one of the concealer tricks we can swear by! In the Spotlight features the best brows on the internet—and gives advice on how to steal their look, too. This installment trains its sights on one of the decade’s biggest brow goals. Here’s the best of Lily Collins eyebrow looks in selfies. And so this was how the world came to know Lily Collins. The Daily Telegraph’s rave review of the film Mirror Mirror (2012) perfectly sums up the beauty and grace of the 29-year-old British-English actress. Of course, Lily was around way before her acting debut. In fact, she began her humble career in the entertainment industry as a writer and a model. As a teenager, Lily wrote a column called “NY Confidential” for the British magazine Elle Girl. She also covered the 2008 US presidential elections for Nickelodeon. And, just a year prior, she debuted in the Bal des débutantes, a highly exclusive French fashion event where some of the world’s biggest models started their careers. But perhaps Lily’s true entrance to Hollywood was when her rock star father Phil Collins wrote the song ‘You’ll Be in My Heart’ from the Disney movie Tarzan (1999) for her. “That song is very, very close to me,” she confided in an old interview with The Daily Mail. But regardless of how and when Lily Collins’ star began to shine, one thing now is clear: she’s here to stay. Perhaps one thing the general public doesn’t know about Lily is that she takes the absolute best selfies. Thanks in part, perhaps, to the fact that her brows are always front and center. Certainly, Lily Collins is more than just her fabulous eyebrows. She’s starred in the novel adaptation The Mortal Instruments: City of Bones (2013) and Love, Rosie (2014). She’s also released her own book, Unfiltered: No Shame, No Regrets, Just Me. Lily’s a wildly successful, multi-talented artist—but it’s hard not to fixate on those gorgeous arches. So, today, we indulge. Scroll down and feast your eyes on the perfection that is Lily Collins’ eyebrow looks in selfies. Thinking I need to re-create this look tonight. Friday night flashback to my curls and glitter in Cannes. Endless inspiration from @JenAtkinHair and @MakeupVincent!…. In 2017, Lily confided that she once “hacked off” her eyebrows to try and fit in. “So I took it upon myself to kind of hack them away,” she confided. So, if you’re ever tempted to try your hand at shaping your brows by yourself, we have one word for you: don’t. If you really want Instagram-worthy brows, never skimp on a brow grooming session. Trust a pro. However, if you’re tired of having to get your brows on fleek every single day, then it’s time to consider better options. Organic Permanent Makeup offers organic microblading—an all-natural way to get the brows you deserve. We use organic ink pigments to give you a fuller brow that will last you up to two years. Read more about organic microblading today and get one step closer to Lily-esque arches.